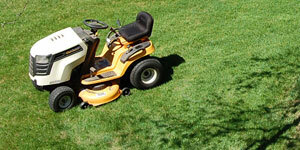 Our professional mowers ensure an even length across your entire lawn. Should any thin spots be found, we will treat with the appropriate treatments and have your lawn looking perfect in no time! We will shape and lay new grass where needed and keep checking back to make sure all new elements are growing steadily and strongly. We will also install trees, shrubs, ornamentals and more for your carefully planned gardens. We will keep your trees in tip top shape with regular mulching and annual trimming. We keep your lawn and gardens where they are supposed to be by trimming excess growth around your walkways, mulched areas and more! Keep your green thick and healthy with regular fertilization and aeration. We remove unsightly leaves from your lawn and trim back dead wood from trees and shrubs.